Scrappy Moms Sneak #3 - Dance in the rain! 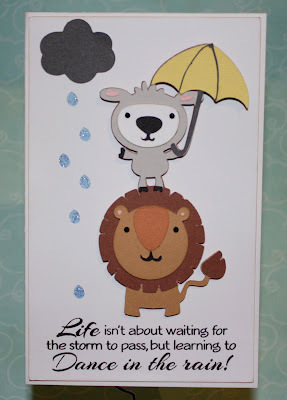 I used an adorable cut from Lettering Delights "In Like a Lion" Cut-its file. I used my MTC to weld the raindrops to the rectangle that is on top of my card base - then I placed a rectangle of blue behind it so the raindrops are negative space. 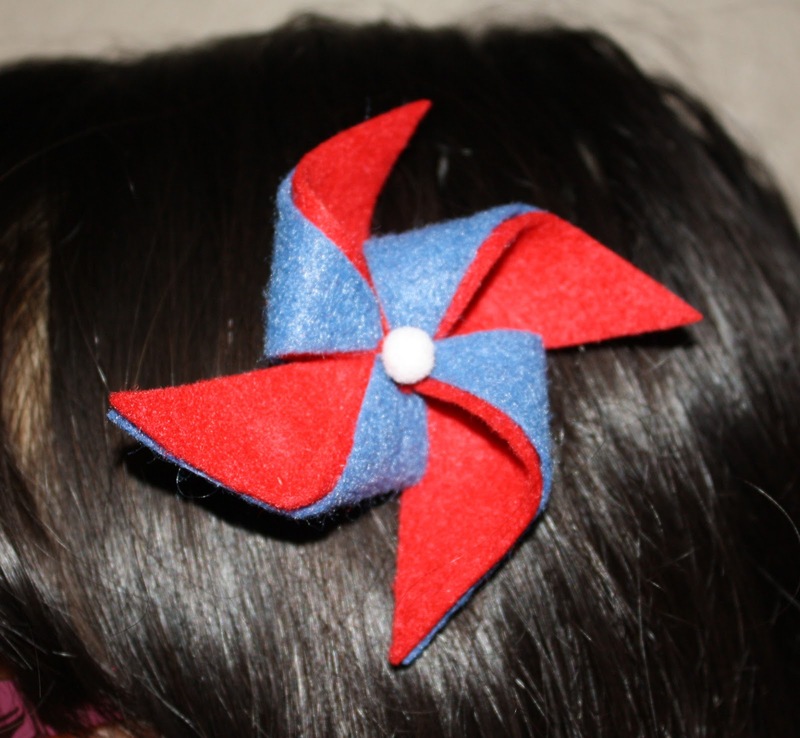 A little bit of Stickles ﻿to make this sparkle and done! 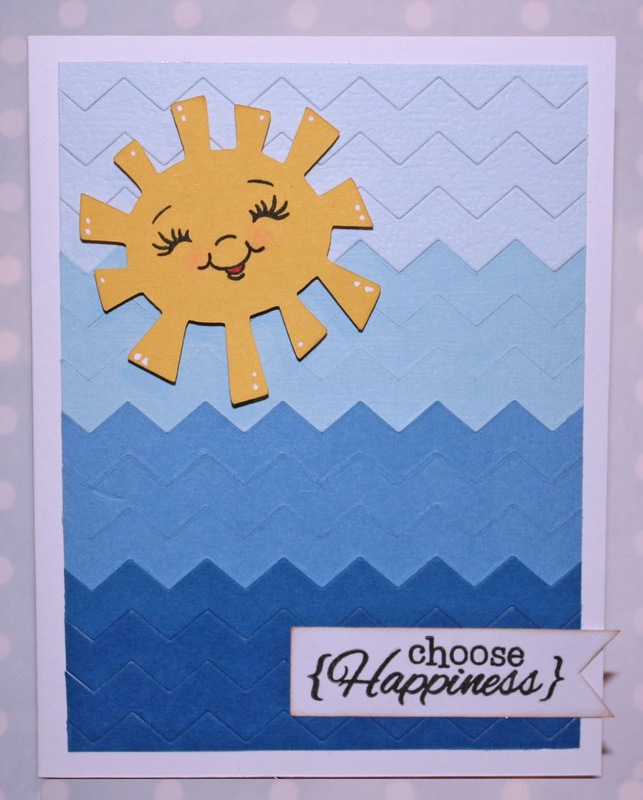 I kept the design of this card simple because the image was so cute and the sentiment - from SMS Lean on Me set - is large. Sneak Peek #2 - Choose Happiness! 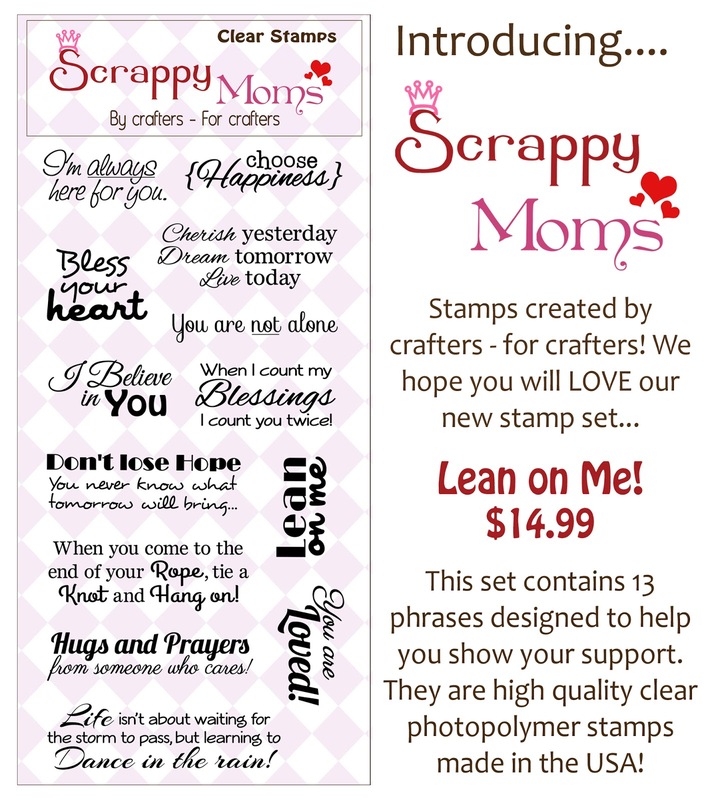 Introducing 2 new Scrappy Moms Stamps Products - Lean on Me and the Chevron/Rick Rack Die! 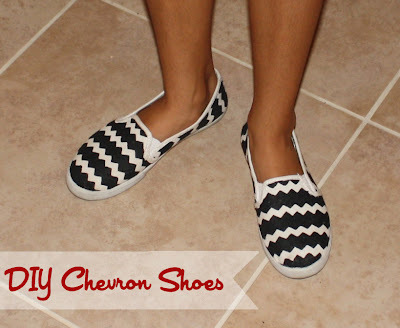 My daughter had a pair of plain white slip-on tennis shoes that she decided were too plain... So we came up this this idea to dress them up. After the fabric paint dried slightly we removed the vinyl and painters tape (I have read that if you wait until fabric paint is completely dry it is difficult to remove cleanly). 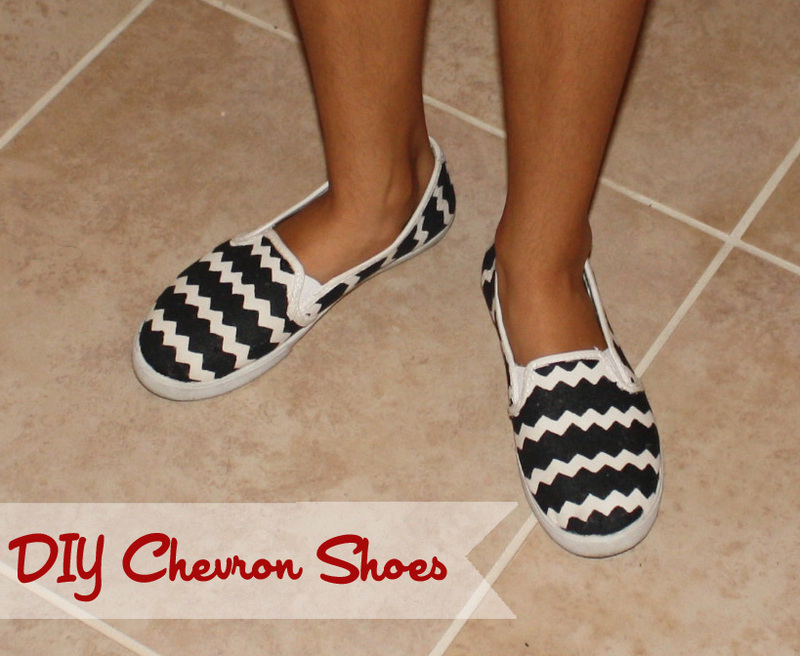 Here is the final product on some happy toes! Here is the Chevron/Rick Rack Die and the brand new stamp set we are releasing this month - Lean on Me! 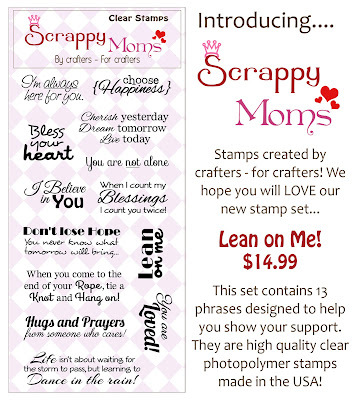 Please come back and visit with me later this week, as I will have more projects using these new Scrappy Moms Stamps products. 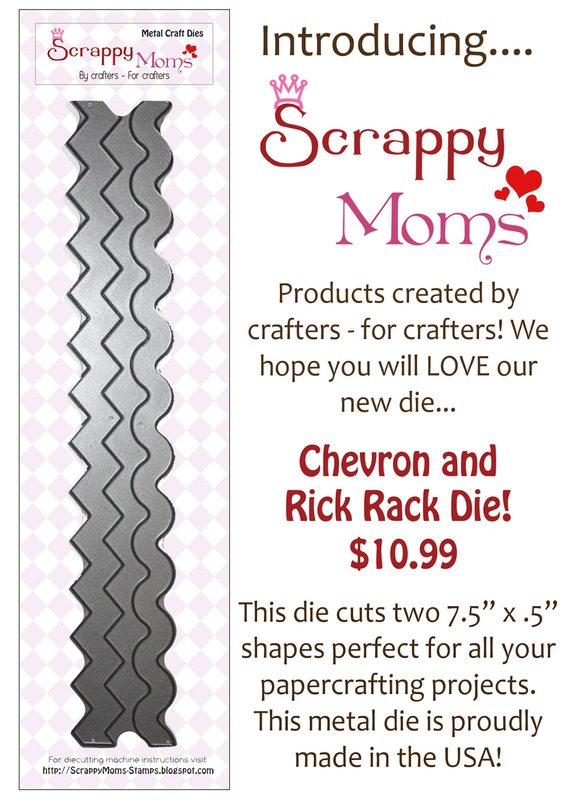 So will the rest of our SMS Design Team members, including our July Guest Designer - Suzanne from Scrap with Suzy! 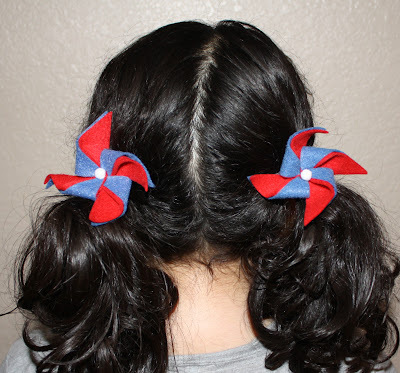 Terrific Tuesday Challenge - The Great Outdoors! I can't think of anything more "great outdoors" than an camper trailer! 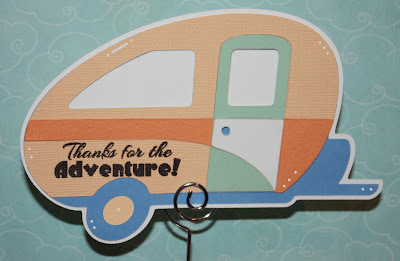 :) This is cute retro tailer is from Camping Critters and the sentiment is from Scrappy Moms Stamps That's Entertainment set. 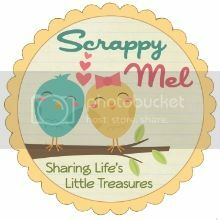 I hope you liked my little project and that you will link up your "Great Outdoors" project for a chance to will a Scrappy Moms Stamps set of your choice. Terrific Tuesday Challenge - Red, White and Blue! 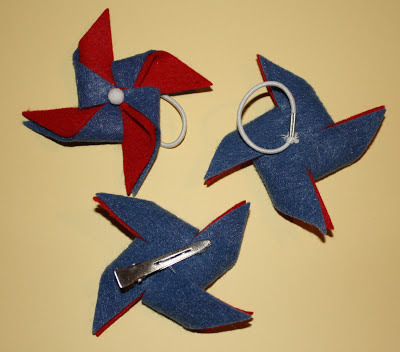 I hope you enjoyed my project and that you will link up your Red, White, and Blue project for a chance to win a SMS stamp set of your choice!